Going on holiday is the fun part but what about all the preparation. Packing can be a logistical nightmare and I find it useful to make lists and fasten them to the lids of the suitcase and tick them off once the item is in the case. Here are a few fabulous items which would be really useful for your summer holiday and some to ensure your safety whilst travelling and once you arrive. When setting off on your travels have you considered fitting a Dash Cam to your car? A Dash Cam can give you peace of mind should an accident take place which is not your fault. You would be able to provide video evidence to back up your claim. The RAC05 Dash Cam can be set up in 5 minutes by following the user manual which is include in the box and installs behind the review mirror, plugs in to the cigarette lighter socket starting to record once your ignition is turned on. It comes complete with a 8GB memory card installed. This Dash Cam captures clear footage both day and night should a forward accident take place. One of the added benefits of the RAC05 is the speed camera notifications which can be updated by registering your product on the Proofcam website. Not only a useful item but hopefully one that will give you protection should the need arise. 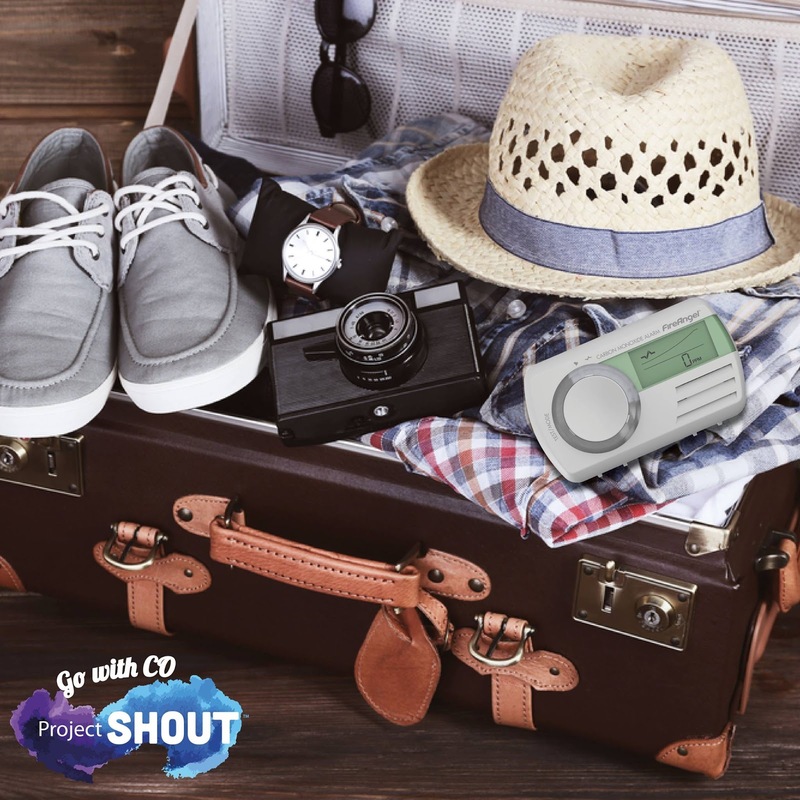 Fire Angels have brought out a portable carbon monoxide alarm which can be packed in your suitcase and taken on holiday, either in the UK or abroad. This useful monitor can ensure your safety from faulty gas appliances and has been designed to comply with all British Standards. With a sealed battery unit and internal power pack it can last for 7 years it can help you keep your family safe for years to come. Priced at £24.99 for stockists please visit Project Shout. These gorgeous travel size hair care products include a gentle cleansing shampoo, gentle detangling conditioner and the awesome Dual Fix12 which I love. The Dual Fix12 is a product that once you have tried you will not be without, this product gives your hair amazing shine, helps to repair damaged hair and gives a silk effect with easier detangling. It also helps to rehydrate your hair with less frizz which is perfect for holidays. The Travel Pack is available from Envy priced £19.95. Pink Parcel have launched their very first travel bag with all the essentials your need while you are on holiday. It’s worth over £100 (£102.71 to be exact) and will be priced at £18.99. 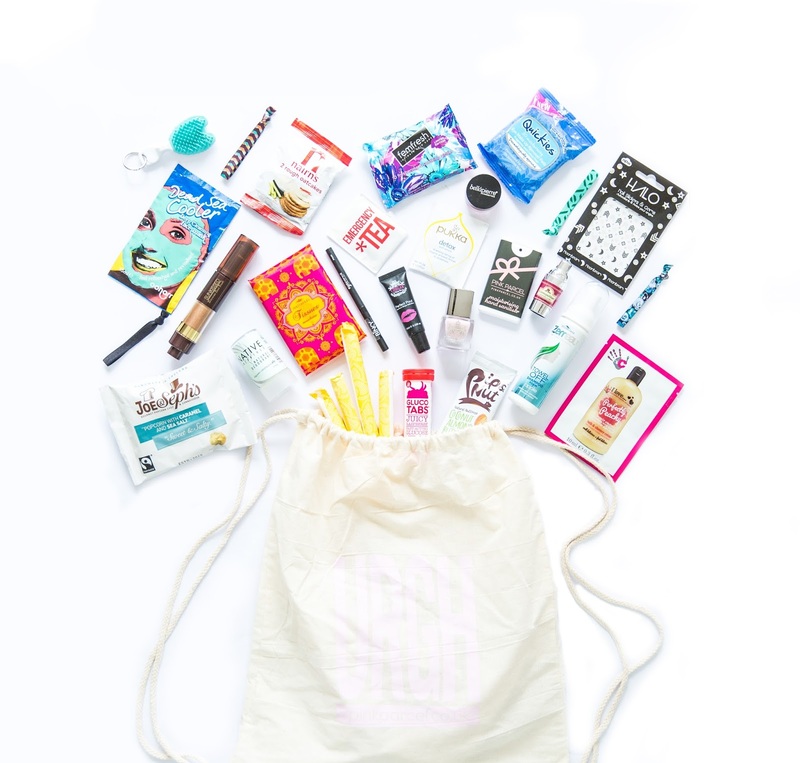 It is packed full of some great products including face wipes, deodorant, dry shampoo, delicious snacks and lots of lovely make-up essentials. I really love this idea, so many little treats which are delight for your holidays or festivals. These are such an ingenious idea, I am forever getting my headphones tangled in the bottom of my bag or losing them altogether. A great solution for travelling. Worn on the wrist, the unique patented slider system keeps the lightweight alloy heads, slider and jack plug all connected together for a secure compact fit. The cables are kept in perfect alignment and remain tangle free and always close to hand! What more could you want than easy to find earphones. Wraps Talk are available in a range of colours priced at £19.99. Top on my list for travelling is Sudocrem skin care cream, it has so many uses. Did you know it could be used as a face mask, moisturiser and is good at treating spots? Costing only £2.11 per a 30mg tube it is a bargain and many celebrities swear by it. The new Veet Precision Beauty Styler is the perfect trimmer to take away on holiday. 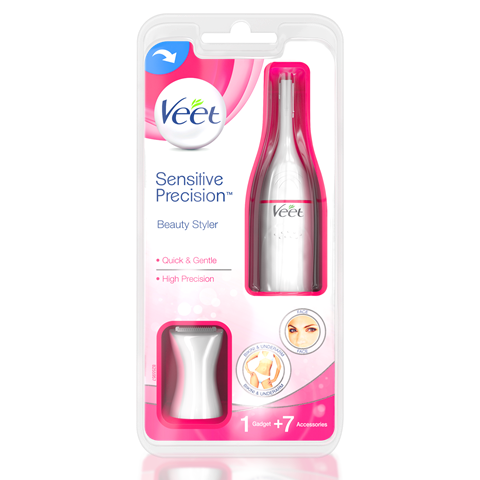 Ideal for eyebrows, bikini line, under arm and upper lip it is an effective way of removing unwanted hair. The Styler uses 1AA battery and has two interchanging heads. The Styler also comes complete with a travel bag to ensure it stays all together which is quite useful when packing. Costing around £23.99 I think it is a good price for something that has different uses. Available from Boots. Theye's range of summer essentials are a must to pop in your case. The Mosquito Wristband is high on my list as those little pests seem to love me for some reason and these are a perfect fit for anyone being adjustable. All bracelets are highly durable, waterproof and made with Citriodiol, (derived from plant-based oil Eucalyptus, long recognised for its insect repellent properties). The stylish beach towel is made from a micro fibre suede and dries in 10 minutes keeping you sand free. Theye compact mini sprays are perfect for popping in your hand bag if you are sightseeing, they include a hand sanitizer, sunscreen SPF30 and a mosquito repellent spray. 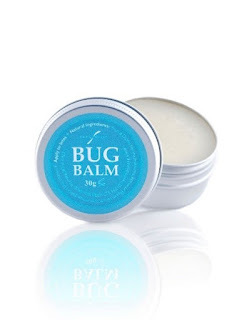 Bug Balm is a 100% natural skin balm that contains a highly concentrated extract of liquorice root. When applied to bug bites, Bug Balm helps immediately calm down and reduce inflammation, swelling and itching. Bug Balm is most effective when applied at the first sign of swelling or itching from any bug bite. Suitable for use on adults and children and can be used as often as is necessary until the swelling and itching from the bug bite subsides. Bug Balm costs £7.95 for 30g and comes in a handy travel-friendly tin available from the Skinshop. Hopefully we will all have a care free summer holiday, enjoying the sun, sea and sand. I was sent these products free of charge for the purpose of this post. I will check out the Pink Parcel, it sounds like a great pack for traveling. I would add to your list the lip balm, I don't go anywhere without it. It's great to use on long flights, where the air dries your lips. I like Pink Parcel but I had no idea that they were releasing a travel bag. Now that is something I want! I didn't sudocream could do all that. Great list. Thanks for sharing. Great list, I always forget bug balm. I want a Dash Cam. There. I've put it out there. I hope my Mrs comes across this comment and picks up the hint! Lots of nice goodies here! 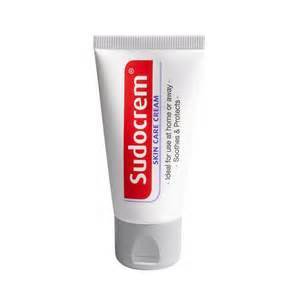 Some great little items, we can't go anywhere without sudocrem.